Marketing for veterinary ER practices is a lot different than marketing for general practitioners or even specialty veterinarians. As a veterinarian with an MBA who has worked in both general and emergency practice, I know that the ways that clients "find you" are very different. In this post I'm talking specifically about emergency clinics/hospitals: the "rules" for specialty clinic marketing are different. Most specialty referrals occur during the day and are not emergent, so a general practitioner has a much bigger impact on where a client goes for care than they do for emergency care. As emergency medicine has become it's own specialty and the availability of 24/7 care has exploded, especially in metropolitan areas with high disposable income, it's no longer enough to say "We provide fantastic care for reasonable prices." or "We're open 24/7". Or even "We have board certified specialists on staff." Why? Because virtually everybody can say that about themselves. As my friend and colleague Linda Curtis of Animal Emergency & Critical Care in Leesburg, VA says, "It's time to get away from thinking that clients should be grateful that we are open and available to them...the privilege is ours to have them come in." So what CAN emergency clinics do to differentiate themselves in the eyes of their referring veterinarians? I've written about that here (/blog/3-ways-for-er/specialty-veterinarians-to-increase-referrals) but for today, Let's debunk a few persistent myths! 1. 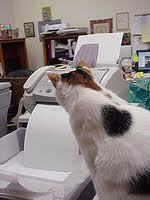 Pet owners find you through the rDVM's answering machine. I love this one because I've heard it for literally decades and, while it was definitely true at one point, the internet has made your after-hours answering machine almost irrelevant. Think about it....a pet owner has a question or emergency at 9pm and they know the rDVMs office is already closed. Do you think they're going to call just to hear the answering machine? Maybe, but I think they are far more likely to go online to find the ER that is closest to them. Or the one with the most interesting, inviting website. Or the one that their friends told them about. Information is everywhere, so what worked in 2005 doesn't work anymore. If you visit with your referring veterinarians periodically to "check in" (if you're not, you should be! ), your ask shouldn't be "We'd like to be on your answering machine." Instead, ask "Can we put our logo and contact information on your website so your clients can find us in case of an emergency?" 2. rDVMs are busy and don't mind talking to a technician when they refer a case. It DOES get very busy in a modern veterinary referral/emergency hospital. I've worked in emergency medicine for years and I know how crazy it can be. The controlled chaos is one of the most energizing things about being an ER veterinarian, and sometimes you have so much swirling around your head the last thing you have time to do is answer a call from a referring veteriarian. My answer? Too bad. Referring veterinarians are the lifeblood of your practice and it's only getting MORE competitive out there. Your colleague on the other end of the line almost certainly has options when it comes to where she sends her emergent cases, but she chose your practice. Are technicians perfectly capable of pickup up the phone and taking down all the relevant information? Of course, but that's not the point. It's about providing value and going that extra step. It's about showing that you appreciate that they took the time to call. It's about proving that communication really IS important to you. 3. rDVMs choose a "preferred provider" based on availability of advanced diagnostics, board-certified personnel, etc.. If you look at a typical veterinary hospital's webpage or advertising, you often see a long list of the "gee whiz" technology they have, but do you REALLY think a referring veterinarian sends their cases to you because you have a new ultrasound machine? They don't. Don't get me wrong...a commitment to advanced technology that helps you provide the best possible patient care is a hallmark of excellent clinics. Having a surgical laser can be a proxy for quality medicine, but I dont really think that moves the needle in the eyes of rDVMs. It certainly doesn't matter to pet owners, who don't pick a provider based on who has the most "toys". So what DOES move the needle? A couple things are critical, but the biggest is communication. Do they pick up the phone when I call? Do they seem like they're genuinely grateful for the referral, or is my call a burden to them? Do I get access to your records in a timely manner? Are you complimentary to the workup we've already done and make me look good? People matter, not toys. My overall point here is to put yourselves in the shoes of your clients (both referring veterinarians and pet owners) and ensure that your marketing is in step with the times. Yellow pages used to matter, now they are a waste of money. Answering machine messages are probably going that way too. Personal relationships matter more than technology. Communication matters more than surgical skill. What do you think? Are there other things that your practice does to really stand out in the eyes of your clients?